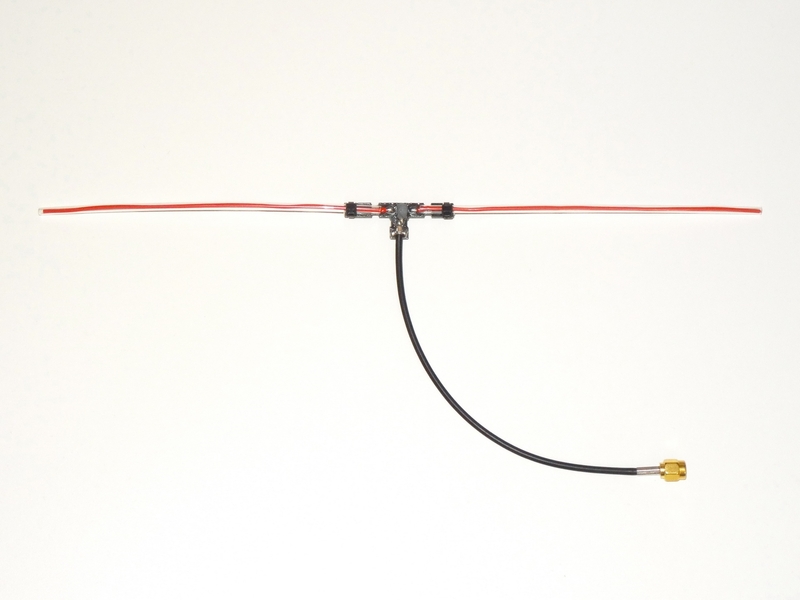 This is a super high performance antenna for use with any Dragon Link receiver. It has a super flexible 6 Inch ( 15 CM ) coax extension, SMA Male connector, and is ideal for use in Copters and Small planes. The coax can be coiled, bent, or routed any way you like without affecting performance. Plastic tubes are included to keep the wire elements straight, but are flexible and designed to bend in case of a bad landing or crash.